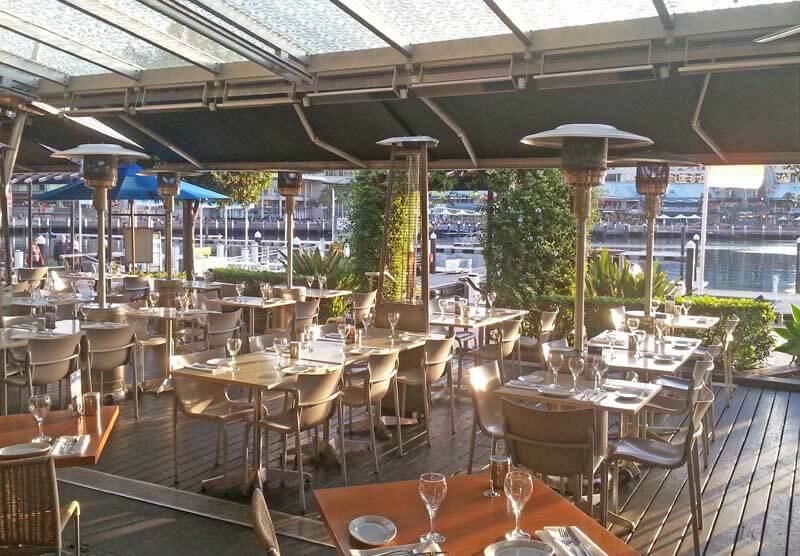 A strategic mix of new commercial awnings and retractable roofs have provided the perfect weather protection for the retail, restaurant and entertainment precinct at Cockle Bay Wharf on Sydney’s Darling Harbour that has recently undergone a major upgrade and expansion, especially of its outdoor areas. 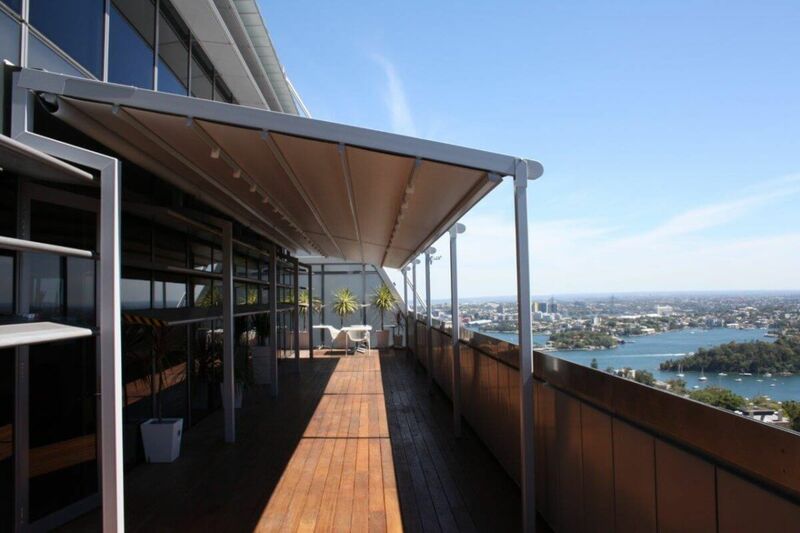 The installation was carried out by leading awnings and blinds supplier Sunteca, who sourced the Helioscreen products and had them customised in consultation with the architects and interior designers for each of the Cockle Bay outlets. 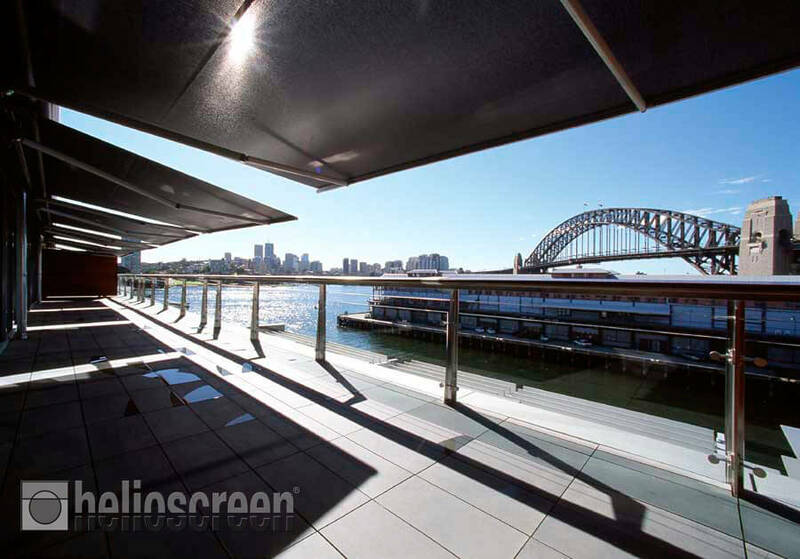 In addition to their high wind rating, superior build quality and stronger, more long-lasting metals and fabrics, Helioscreen products can be adapted to a wide range of situations. This versatility combined with excellent remote control offers a lot of advantages to restaurants, cafes and other retail outlets that may be exposed to the elements. 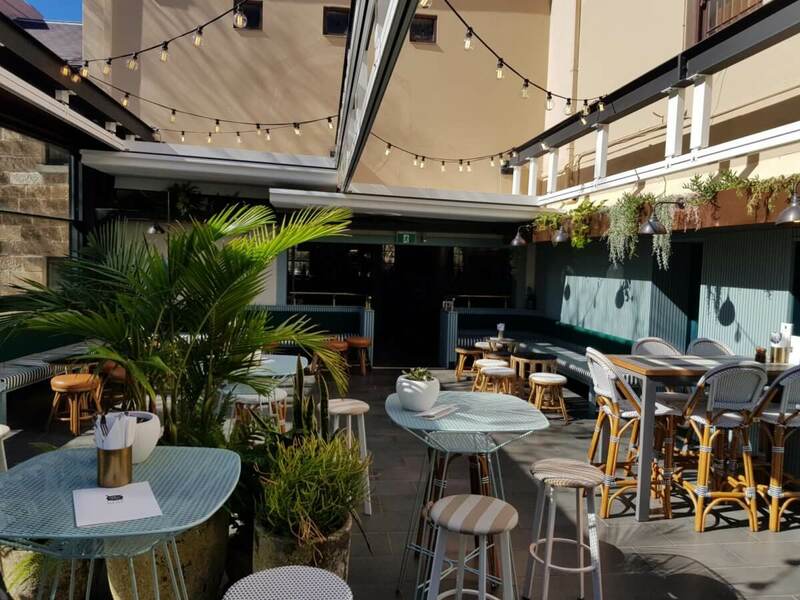 ‘Helioscreen have a wide range of products but for this project we used mostly the Helioscreen Cassette Folding Arm awnings and Varioscreen Retractable Sunroof awnings for their under-glass sun protection,’ said Sunteca CEO Richard Kraus. For more information on Helioscreen Varioscreen, please click here.